When comparing the cost of vinyl and wood fencing it is important to understand that the price point of vinyl fencing is set by the manufacturers to be competitive with comparable high end wood fencing. However because the petroleum industry supplies some of the materials used in the production of PVC (polyvinyl chloride), the price of vinyl products do fluctuate along with the price of oil. 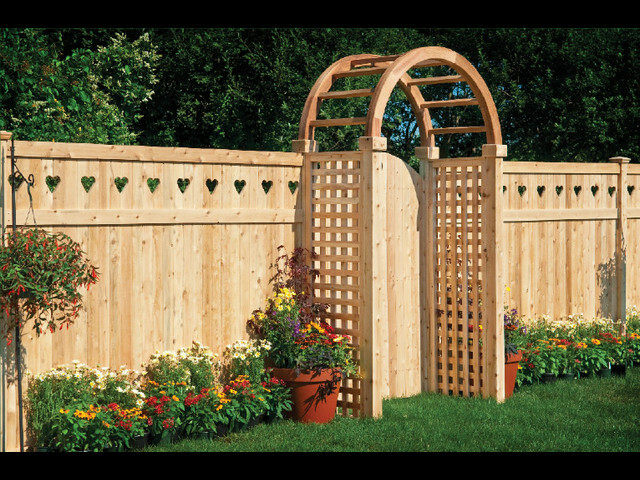 Each type of fencing has unique characteristics that may be either an advantage or disadvantage depending how the fence will be used. Choosing the correct fence is often as much dependent upon it’s suitability for a particular use or the personal taste of the buyer as upon the cost of the fence. Advantages of vinyl fencing: Vinyl fencing is largely maintenance free. It does not require painting, staining or sealing and does not warp, split, crack or bow like wood often does. Because the components are often pre-cut and pre-assembled in a production facility, a substantial amount of the end cost is derived from the materials with a lesser amount going for labor. There is typically not a big price range between comparable brands of vinyl fencing but the cheaper brands are usually of thinner materials and use inferior methods of fastening the components together. Most failures I have seen in vinyl fencing were due to poor design of the fastening components. For this reason I believe it is always prudent to buy the highest quality vinyl fencing that your budget will allow. Disadvantages of vinyl fencing include it’s susceptibility to cracking from sharp impacts or from freezing water should it become trapped inside the posts, rails or pickets. Vinyl fencing is only available in light colors because darker colors absorb too much heat from the sun, which would result in unacceptable distortions of the fence. Although it is often used for pasture or pet fencing, vinyl fencing is less rigid than wood and therefore more vulnerable to damage from animals determined to cross it’s boundary. 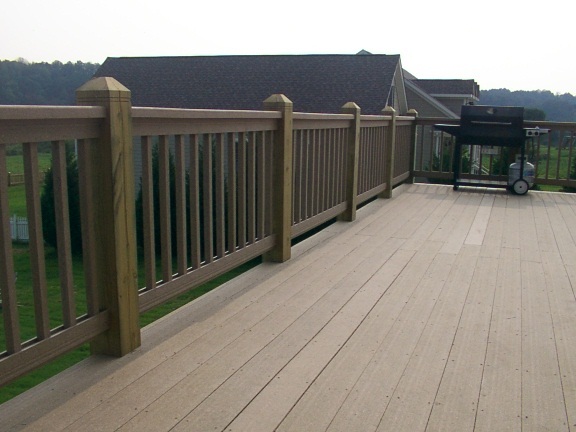 The number of rails on a wood fence also impact the strength and appearance of the fence. On taller fences it is critical that three or more rails are utilized to provide adequate resistance to sagging and to withstand horizontal forces from the wind, impacts from lawnmowers, or stress from pets and people jumping or pushing on the fence. The third rail also provides another fastening point that helps ensure the pickets won’t warp or twist over time. Most wood fencing is assembled with pneumatic nail guns using either rust resistant electro-galvanized staples or nails, or in some cases uncoated nails that have no resistance to rusting. While the use of nails or staples is common practice, and usually look fine in the newly finished fence, they are prone to loosening over time or rusting enough to sometimes break or stain the wood. Over time this may result in the fence pickets separating from the rails and the rails loosening and separating from the posts. Very high quality wood fencing can be achieved by using 3/4 inch thick picket stock secured to the rails with exterior grade deck screws. Longer deck screws should also be used to fasten the rails to the posts. All posts should extend into the ground a minimum of two feet and be set in concrete. The top of the concrete should be below grade and finished in such a way as to not hold water around the post which can diminish the life of the post. Another issue that is seldom brought to the attention of the buyer is that the picket stock is not rated for ground contact. This means that the bottom of any fence pickets that actually touch the ground, over time, may decay until they are above grade. 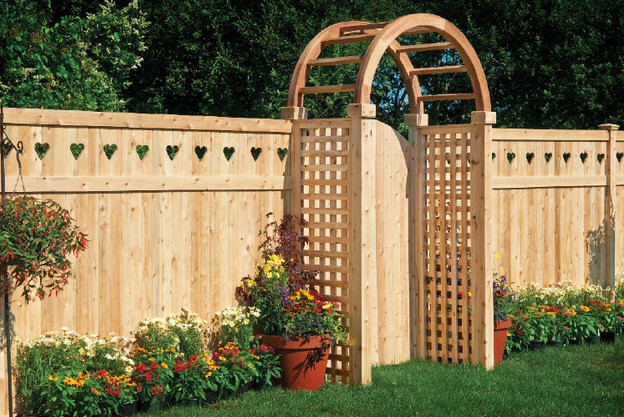 Building a quality fence from wood requires considerably more labor than installing a vinyl fence with the result that much of the savings realized in using less expensive materials is offset by higher labor charges. It is not unreasonable to expect to pay a bit less for wood fencing than comparable vinyl fencing but keep in mind that if the savings is too great it is likely offset by lower quality. Buying the cheapest product may be the best bet on inexpensive stuff but it is often not a good choice on larger purchases. Most people don’t buy the cheapest available house, car or even cell phone; not because they are unconcerned about cost, but because they understand that the only thing worse than spending a lot for high quality, is spending too little and still ending up with a substantial amount of money invested in something that will not satisfy their needs. Great post! It’s good to see the pros and cons of different types of fencing next to each other. I’ll have to keep this in mind when we’re updating our fences. Thanks so much for sharing! The wood fence in the picture is adorable! I love the little hearts carved into it; something like that would be perfect for a cottage. The post mentions the importance of staining your fence. How often should that be done to stop the color from fading too much? Thank you for visiting our blog. How often the fence is stained depends on how well the fence is sealed against the elements. Applying a waterproofing and UV inhibiting sealer every two or three years will greatly prolong the life fence as well as the vivid color of the stain. If properly maintained the fence should not require re-staining more often than once every six to ten years depending on the exposure it receives. Thank you so much for this! My wife and I have been debating on getting a wooden fence or a vinyl fence. We just weren’t sure on which one was going to be best for us. So I really appreciate you comparing the costs between these two. My husband and I have been going back and forth between vinyl and wood fencing for a while now. We have three dogs so we really want to get a fence in soon so that they don’t have to be pent up in their kennel all day. We aren’t really picky about the coloring of the fence because a dark or light shade would go well either way. I will have to show these insights to my husband and see what he thinks, thanks for sharing!